I recently reviewed an ideation platform, and looking at the new features added to Dynamics CRM 2016 Update, the Feedback features caught my attention. So, now we can not only collect feedback, but also rate records. And this applies to all records in the system, both system and custom, where enabled. First step is to enable an entity for feedback. 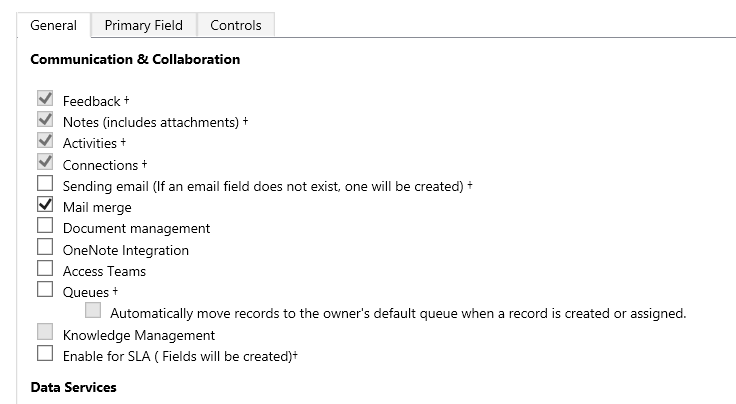 The easy way (you can do it programmatically too) is to navigate to the solution storing your entity definition, and on the entity property tab to find the Communication & Collaboration section on the General tab. You will find there the option to enable Feedback. Note that for new entities, this is enabled by default. If you don’t use it, make sure to disable it. I would not want that enabled for most entities probably, so I think it should be off by default. Note also that this is one of the options that, once enabled, it can not be disabled. 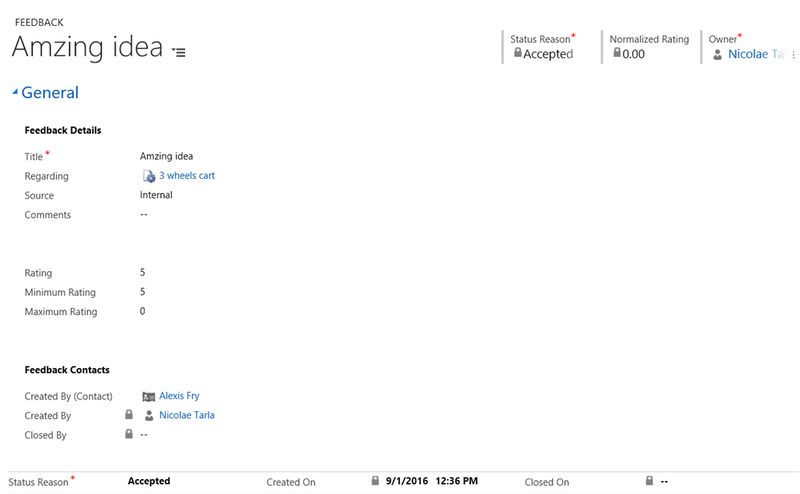 Observe that, by default, you can track feedback from both internal and from an integrated portal, if you have one. So far, this serves me well for the ideation platform. Within the feedback record, you can first observe that, by default, there is in place the ability to have the status as Proposed or Accepted. This is nice, as you can enforce an approval process for feedback, and only take into consideration approved feedback. This can be beneficial for feedback from public, captured from a portal. The rating is what I was looking for. It is by default just a text field, but you can enforce rules to make sure you only capture the format you need. Let’s say I want to have a rating on the portal with 5 stars, so I’m only going to capture a value from 0 to 5. Now that I can capture feedback and rating, I want to roll-up the rating. I want to display on the idea record the average of all ratings from the feedback. And once it’s saved and published, I modify the default idea form to add this field, and the default view to add this column. 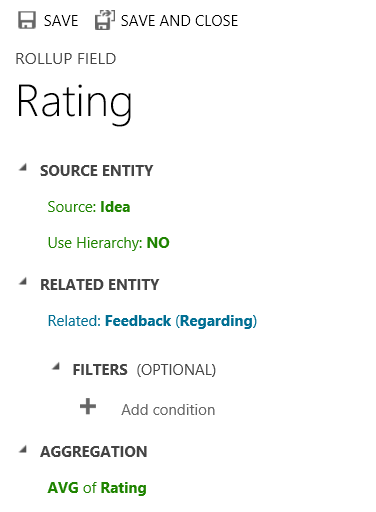 Looking at a record view of ideas, now I can quickly see the ratings, sort and filter by rating, etc. And all this without a single line of code. Sweet!